"Crystal Endeavor" will be the most luxury cruise vessel that ever has sailed in Antarctica or the Arctic. (Artist drawing by Crystal Cruises). Crystal Cruises sets sail in 2018 with this new purpose-build Polar Code vessel able to crush through medium first-year ice. In August 2018, you might very well meet this 183-meter long cruise-vessel in the ice north of Svalbard, east of Greenland or other places in the Arctic. The first-ever expedition megayacht to sail with a PC6 Polar Class designation will have up to 200 passengers. To be named ”Crystal Endeavor” the vessel was announced at the annual SeaTrade Cruise Global convention in Fort Lauderdale, Florida on Tuesday. “Crystal Endeavor will cater to a particularly daring audience, one who values luxurious comfort and amenities as much as life-changing adventures,” Crystal Cruises CEO Edie Rodriguez said at the presentation. The cruise liner says new state-of-the-art offshore dynamic positioning technology will allow “Crystal Endeavor” to cruise in the Arctic, follow the route of migrating whales, and “visit remote islands in the Atlantic and the Pacific Oceans, which cruise ships seldom call or cannot access. The plan is to sail the Arctic in summer and Antarctica when it is summer on the southern hemisphere. A range of onboard “toys” will give the passengers extreme adventures, including two helicopters and two 7-person submarines. The eight zodiacs to be used for landings are electric. “Crystal Endeavor” will be built by Lloyd Werft Group in Bremerhaven, Germany, which earlier has both ice-breakers and cruise vessels in its portfolio. The announcement of the vessel says nothing about which price tag will follow the booking of a standard 400 square feet suite onboard. Or, what about one of the two owner Suites equipped with private conservatory, garden, outdoor Jacuzzi, sauna, steam room, spa and gym. All within some “tiny” 1,615 square feet interior and 1,507 square feet balcony. 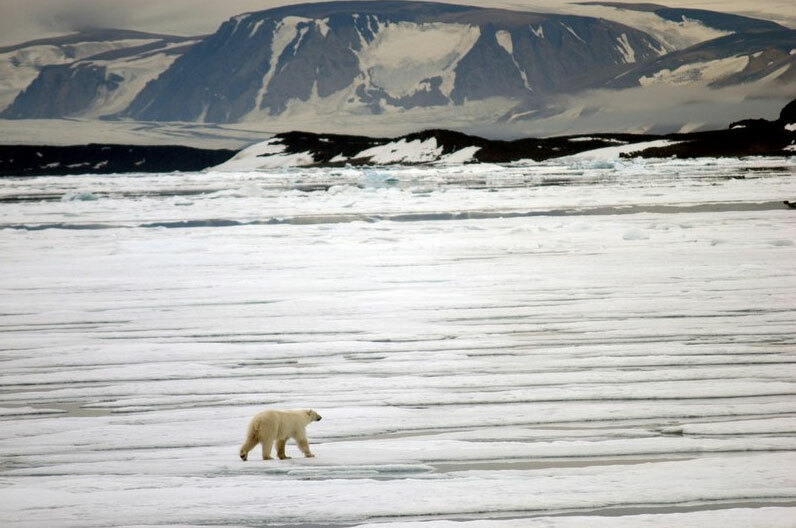 Imagine watching a polar bear walking across the ice somewhere north of Svalbard from your own Jacuzzi?